1. Win $100 by taking our Patient Needs Survey! 2. Register for the live webcast of this chemo-induced hearing loss meeting. 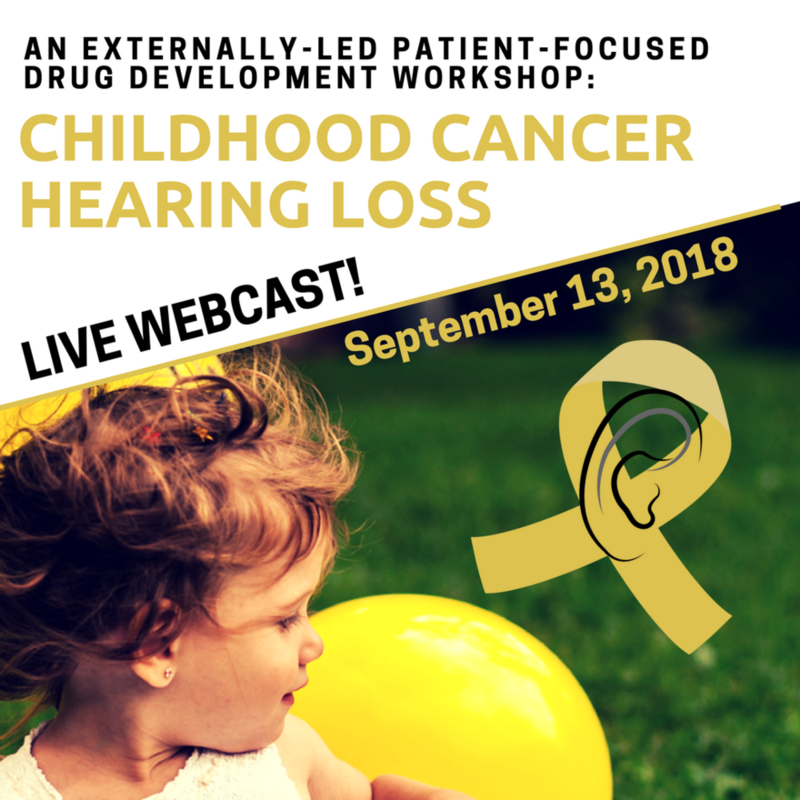 We've just expanded participation in the September 13th externally-led PFDD workshop on chemotherapy-induced hearing loss in pediatrics to a virtual audience. Now, you can register to join the live webcast of this meeting.